and B: 2 years old. My husband and I are bilingual. He is German with Polish heritage and I’m Canadian with Polish heritage. 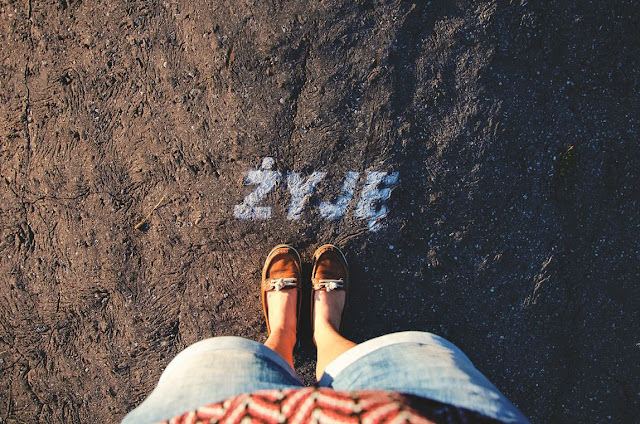 Polish is our “home language” (as children, we spoke Polish with our parents). We do however throw in a little bit of English or German. This is true especially for me with English (some concepts/ phrases/ emotions, simply work better in English). F attends a German-speaking Preschool (Kindergarten), so she mainly operates in German during the day. B is at home with me, but when we leave the house we switch to English. He will start preschool (Kindergarten) when he turns 3 next year. He has some interaction with German when F jabbers to him/ us in German; when we pick F up from the KI-GA together and stay a bit longer to play with the kids or when we take part in the many KI-GA activities. The language we most often use when we meet up with friends is English. My German is still quite basic. We don’t have too many Polish friends here in Leipzig so apart from speaking this language at home, the kids hear it when we visit family in Poland. 6. If you had to put a percentage on the languages your children hear what would they be? My estimate would be something like this..
We didn’t have an exact plan and there were moments when we felt that perhaps we were wrong to not have one… Starting out as parents we didn’t know many multilingual families. We knew how it worked for us – children of ESL and GSL parents. But being bilingual ourselves, OPOL didn’t feel like a natural option for us. Luckily we came across the Piri-Piri Lexicon and recovered confidence in this area . We felt it was important for our children to have three languages present in their lives. As bearers of three passports it simply made sense to us. Our living situation was quite fluid for a while so it was difficult to establish a “system”… During the first year of F’s life we lived between two apartments one of which was in Poland and the other in Germany, then we spent some time in the US.. We settled down in Germany when our daughter turned 2 and that’s when we realized, that: “Polish at home. English with mommy/ German with daddy outside of the house” is what works for us. We were also sure she would be going to a German-speaking preschool when she turned 3. If we move out of Germany we will most probably re- evaluate our system. For now it suits us fine. I think our set up works really well for us. We’ve learned to be relaxed in regards to the children’s language development. It’s fun to watch how they switch between languages or at times create a unique mix of all three. F is going through a phase of speaking Polish using German grammar and she’s picked up a British accent when speaking English. B understands all three languages but we’re yet to see his true “active use” of them. He’s just started to produce words/ utterances of his own. He seems to be fascinated with English. He enjoys repeating English words. He actively uses a few German ones but using Polish seems to be a bit more difficult for him. I don’t necessarily see this as “not working” but F is at a rebellious stage of her life and often times has her own idea of which language she wants to speak. We don’t force her to stick to Polish at home. We allow her to express herself in any language she chooses but try to respond in Polish when in a home-setting or English (Caroline)/ German (Michael) when outside of the house. We remember doing the same thing to our parents when we were children so we see this as a natural phase that will pass with time. 10. 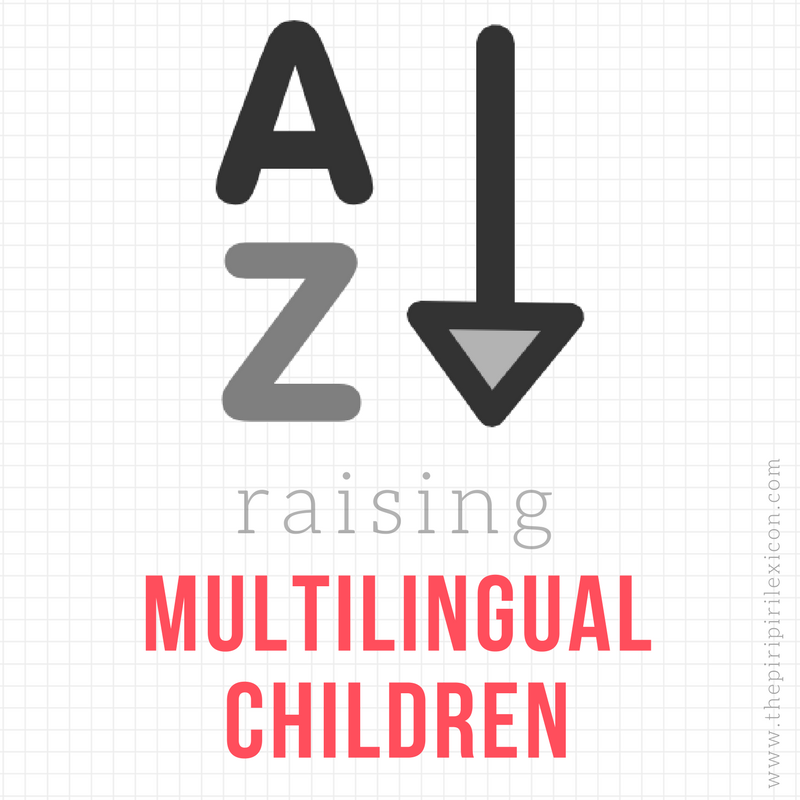 Can you share with us one of your proudest moments as the parent of a multilingual child? We celebrated F’s 5th Birthday last week and I had an opportunity to spend a few hours with her KI-GA friends. I know my daughter’s German is good but I expected her to be at a lower level than her peers. To my pleasant surprise this wasn’t the case at all! Sometimes she speaks to me in German and I don’t understand the word or phrase she uses so I ask her to explain. She usually does it effortlessly using the English or Polish equivalent. B and I were running some errands yesterday and I was buying a few things for my husband. B. looked at me and surprised me by asking: “For daddy?” As he’s just beginning to string phrases I didn’t expect this at all. Especially since he mostly refers to my husband with the German “Papa”. It was really cool. 11. Have you encountered any kind of resistance or difficulties in your multilingualism journey? If yes, what were they and how did you solve them? It made me really doubt myself at the beginning of our journey. Oddly, the first signs of resistance were from my parents. F communicated with everyone in her own language for a long period of time. She is my parents’ first grandchild and they seemed to think a child at the age of 2 ½ should speak in full sentences. They accused us of messing with her head. In their opinion we should have exposed her solely to one language (Polish) until she went to preschool/ kindergarten. This was the general opinion of many Poles that we interacted with. Being a parent proved to be a really difficult job and I struggled with it for the first year. Luckily my husband kept me sane and we were able to get away from hurtful opinions by living a bit here and there and moving to the US for a while. Distance, logical thinking, our own experiences as bilinguals and the Piri Piri Lexicon gave us strength. Our next big battle was when F started Preschool (Kindergarten). She was 3 and didn’t have a lot of exposure to the German language. We highly value the German School System so were surprised to have to stand up for F’s multilingualism. It infuriated me as I remembered clearly how my Canadian Teachers were confident I would not be able to keep up with my school work being a bilingual child (on a side note: I had no problems). This simply seemed to be a quite common belief in the 90-ies. We stood our ground and F’s German caught up really quickly. After about 6 months her teachers had no more basis for concern and now – as I mentioned earlier, she is at the same level as her peers. 12. What would be your one piece of advice to a parent embarking on this life-long journey? Surround yourself by a multilingual community. If you live in a big city there are most probably many families like yours. Facebook is a wonderful tool for finding whatever language- speaking groups / expat groups. If you aren’t able to find/ meet anyone in real life use the internet. Be active online, read up on multilingualism, and arm yourself with facts and other people’s stories. You might feel alone at times, but know you aren’t. 13. What would you do differently if you could or would have to do it again? I would definitely be more relaxed and confident about multilingualism. I wouldn’t doubt our choices so much this would have definitely given me more sleep and less grey hairs.